Not just a IT Support Company in India. 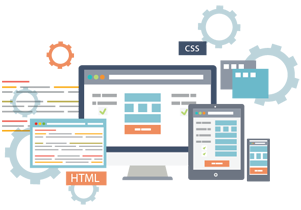 Adysoft is specializing in custom software development, Website design, Web development, E-commerce Website designing and Mobile application developments. We are delivering high quality, cost effective, reliable result-oriented digital marketing solutions on time for a global clientele to deliver your business growth! Flash website enable designers and developers to deliver rich content over the browsers, creating motion, interactivity and an impressive visual experience. Good Flash-sites do not require too much bandwidth, load fast and allow for a smooth interaction; besides, beautiful Flash-based sites are Photoshop masterpieces, transporting some kind of reality and fantasy to the Flash movie. If you want to go big visually with a website, delivering complex interaction and a rich experience across a wide range of browsers, Flash is the only way to go. Quick and effective flash introductions to make a good first impression like graphics, text, animations and interactive flash animation. We prepare the best corporate presentation of your company that displays your company’s objective as well as its products and services. Our team members are always available to assist you as well as to create your website in a distinct and creative manner. If you are looking for flash website design, contact us now to avail huge advantages of our Flash website designing services and solutions. Best Ecommerce Website Designing India & Web Development in IndiaIf you are looking for E Commerce Website designing & Development fine tuned to the latest web trends, please contact us.